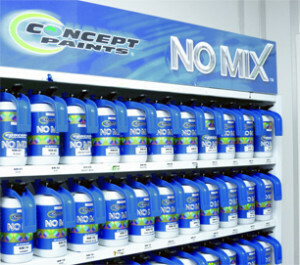 Queensland Paint Supplies (Sunshine Coast) are the coasts distributors for Concept, Cromax and Bernardo Ecanero refinish products. 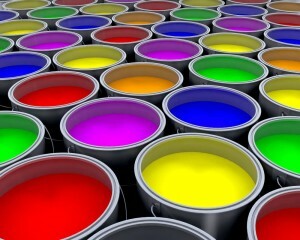 We are the Coasts premier supplier of Automotive Paints and Supplies. We specialise in a number of industrial & commercial paint technologies including 2K Polyurethane Coatings, Baking Enamels, Acrylic Lacquers, Quick Dry Enamels, 2K Epoxy Coatings and many more. We are the Sunshine Coast's only stockist of the extremely popular Bodyfix Polybrite - the quickest and easiest polymer polish around. We have a full range of products to cover your detailing needs. Come in and see us about your next project. Queensland Paint Supplies (Sunshine Coast) has been owned and operated by Peter & Cheryl Harris at the same address on the Sunshine Coast since September 1996, with the business having been originally established in 1989. Although not as large as some non locally owned companies, at Queensland Paint Supplies (Sunshine Coast) our staff have over 65 years combined knowledge to put them at the top of the refinish industry, so give us a call and get our van to call at your shop. We also cater for DIYers, so if you want to touch up those annoying chips & scratches or just give your car a clean and polish, call in and see us today. Peter has been in the automotive refinish industry all of is working life. He started work at the age of 15 for Stan Campbell, Cosgrove & Moon (later known as Crash Supplies) at Brookvale on Sydney’s north shore before moving to the Sunshine Coast in 1987. He commenced work for Peter & Sandra Lambert (Owners of Queensland Panel Supplies) in 1988 at their Salisbury branch. The Sunshine Coast branch was opened at Commerce Ave, Kawana in October 1989, where it still operates to this day. Peter & Cheryl purchased the branch from the Lamberts in September 1996 and started Queensland Paint Supplies (Sunshine Coast). With 38 years knowledge behind him, Peter, with the help of family and dedicated staff, has taken the business from strength to strength. Queensland Paint Supplies (Sunshine Coast) van sales are managed by Gavin Pollock. Gavin has been in the industry for almost 30 years and his knowledge of painting is second to none. This knowledge puts Gavin at the top of the game in helping solve any problem that you may encounter. He also has significant experience in industrial coatings and can answer any questions you may have. The van not only carries a spectrophotometer and computer for those hard to identify colours, but most day to day products you may require. Over the years we have formed great alliances with some of the leaders in the refinish industry. These include Concept Paints , Cromax, GPI , ACE , Bernardo Ecenarro and Finixa to name a few.